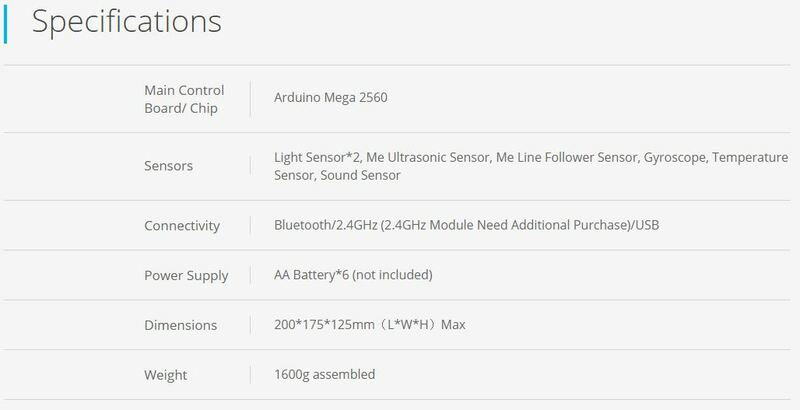 mBot Ranger is equipped with a powerful Me Auriga mainboard and comes with six types of sensors: Light sensor, Ultrasonic sensor, Line follower, Gyroscope, Temp sensor, Sound sensor, which make robots more versatile. 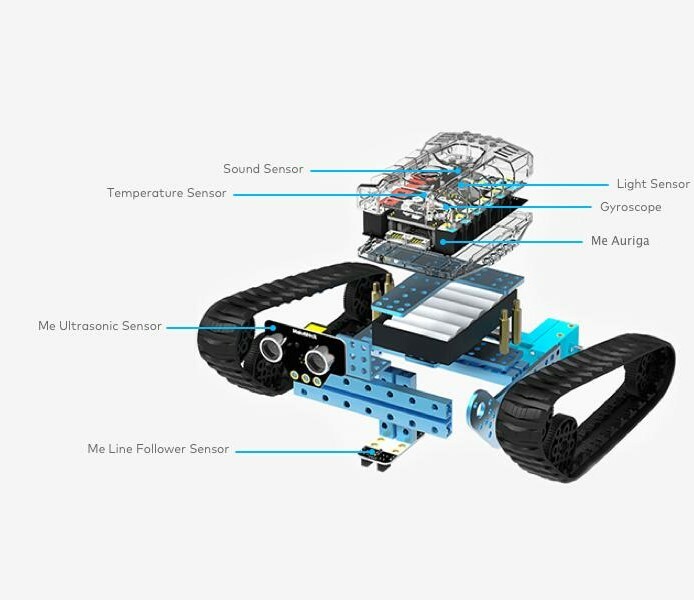 The sensor enables the robot to perform advanced functionality including avoiding obstacles, following lines, keep its balance, and more. 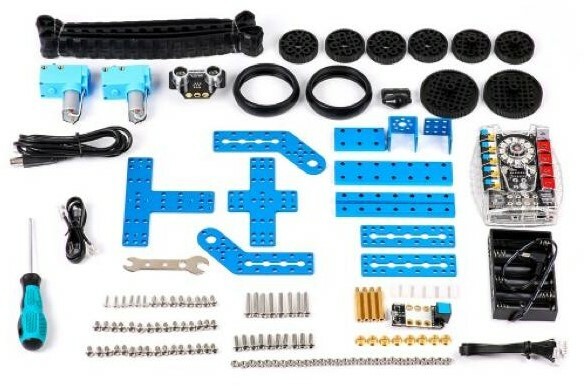 Equipped with 10 extension interfaces for connecting 40+ types of electronic modules (12 included in the kit), and compatible with the Makeblock platform and LEGO blocks, mBot Ranger will bring you limitless fun. 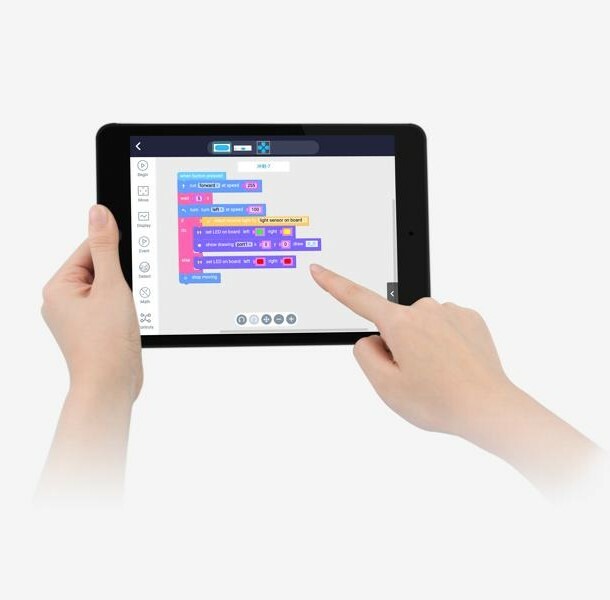 mBot Ranger supports visual programming. By simply dragging and dropping command blocks, children are able to create the code that their robot executes, and so learning to program is combined with play.